One occasion this summer reminded me that pasta is one of the most exploited rations aboard, as I mentioned in my blog posts many times before. My Italian customers decided to prepare spaghetti alla carbonara for lunch. The word carbonara, originated in Italian carbonaro (charcoal burner), always reminded me on carbonization. So, when I was younger I called carbonara every meal my mum overcooked. Although it was a rare occasion I had to be very careful using that word, estimating the distance between my mum holding a ladle and myself. 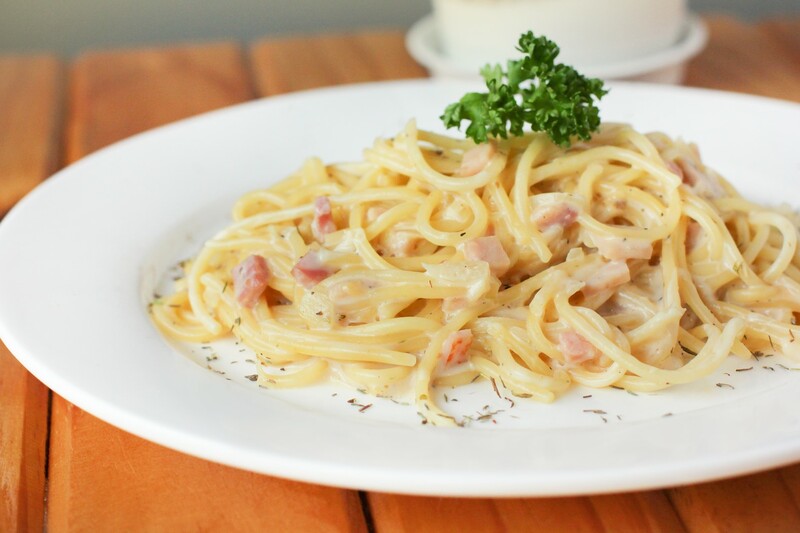 When I grew up I learned that pasta alla carbonara refers to very tasty and easy-to-prepare dish. 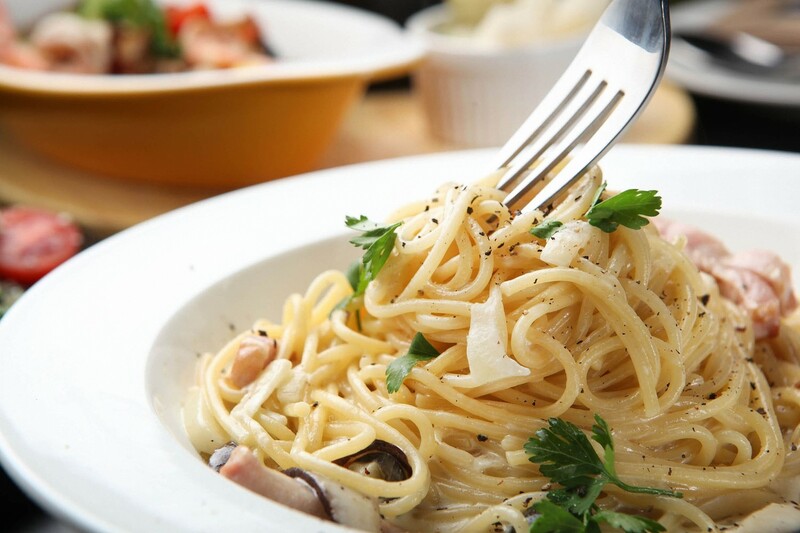 The most common pasta for this recipe would be spaghetti although fettuccine, rigatoni, linguine or bucatini could also do well for this purpose. Pasta should be cooked in boiling salty water just as much as stated by the manufacturer, don’t overcook it. Meanwhile, warm some olive oil in the pan and add bacon cut in small cubes and few cloves of garlic. When both ingredients get a glassy look and start to release their tasty scents, remove them from the pan and remove the pan from the fire. 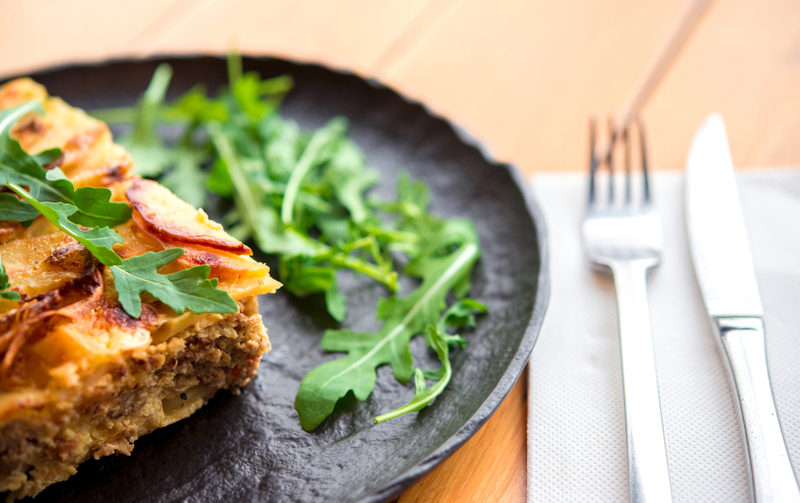 In a separate bowl whisk two eggs with grated (goat) cheese into a compact mixture. Put the pasta into a warm pan where bacon and garlic were warmed, add bacon cubes and pour eggs with cheese over all. Stir vigorously until the mixture is disposed evenly. Add some freshly grated black pepper while stirring or just before serving. 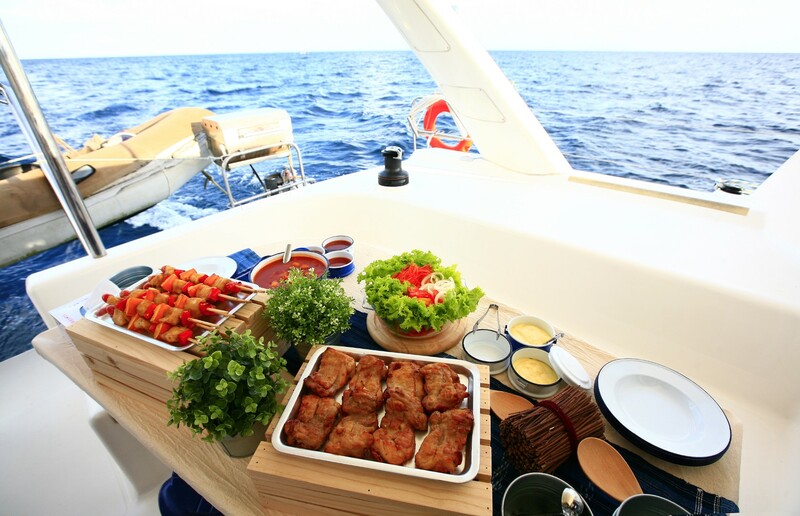 And that’s it – a tasty and rich meal is served on the joy of the entire crew! This simple recipe originated in Italian region Lazio, or more specifically the city of Rome. Some believe that the name to this dish was given after charcoal workers who allegedly gained their energy for work from it. Others believe that the name comes as a tribute to Carbonari, the secret society prominent in early stages of Italian unification. Nevertheless, this dish is highly appreciated not only by charcoalmen, but by exhausted sailors as well. As every dish appears in numerous variations, this recipe is not an exception. 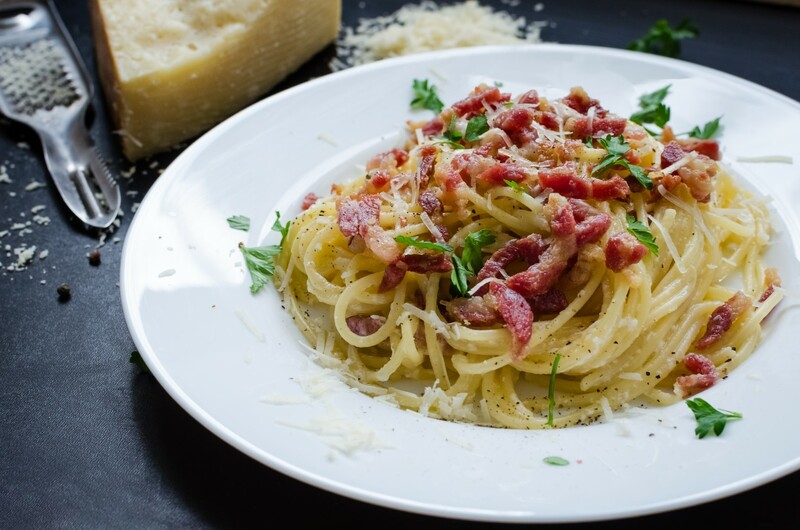 Original carbonara would be done with pecorino Romano or parmigiano Reggiano cheese; the meat used instead of bacon (pancetta) would be Italian guanciale (Italian salami similar to jowl bacon) while the sauce should be made not from whole eggs but only the yolk.